J. Tod Fetherling serves as Chairman and Founder of Stratasan. Stratasan provides advanced analytics in the Cloud to hospitals, physicians, pharmaceuticals, public health, and ancillary healthcare providers. Formerly, Fetherling served as President/CEO of the Nashville Technology Council. He has led the Technology Council through a growth phase that includes a re-branding of the 10 year old organization and increased membership by 29% and revenue by 89%. The organization served more than 400 companies connecting 23,000 tech workers in Middle Tennessee. In addition, he helped launch the Nashville Entrepreneur Center in partnership with the Nashville Area Chamber of Commerce. Formerly Mr. Fetherling was the Chief Product Officer of ConnectivHealth. ConnectivHealth acquired Relegent, where Mr. Fetherling served as the Chief Executive Officer. He oversaw product development for the company. ConnectivHealth has four main business lines: Discovery Hospital, a partnership with Discovery Health Channel; HealthTeacher, the leading K-12 Health Curriculum in Internet and Print; Healthcare BrandPrint, a comprehensive branding package for small to medium sized hospitals and VerusMed, clinical briefing for physicians. Formerly, Mr. Fetherling was Vice President of Business Development at First Consulting Group (FCG), a healthcare technology consulting practice specializing in health delivery, health plans and life sciences. FCG purchased UCR Solutions in June 2002, where Mr. Fetherling served as a Board Member. 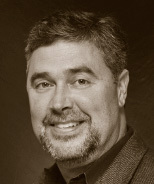 Before FCG, Mr. Fetherling served as Chief Executive Officer of Galaxy.com, LLC, the first searchable Internet directory. Galaxy.com was sold to Logika Corporation (Chicago) in June 2001. Launched in January 1994, Galaxy was created as part of the EINET division at the MCC Research Consortium at the University of Texas, Austin. Mr. Fetherling served as Senior Vice President of The Health Network from 1998 to 2000, overseeing the Interactive operations of one of the largest Cable/Internet Health companies. In May 1999, Fox/News Corporation became co-owner of Galaxy and AHN. AHN.COM set a record for attracting the most visitors ever to a single live broadcast event on the Internet by broadcasting the birth of a child - a significant first. On June 18, 1998 more than 1.4 million people accessed this videostream at AHN.COM, which made it the most-visited health Internet site and increased traffic to the site ten-fold. For his work with The Health Network, Mr. Fetherling was named the Trevor A. Fisk 1999 Young Marketer of the Year, a prestigious honor that recognizes the contributions of outstanding healthcare marketing professionals. Prior to joining The Health Network, Mr. Fetherling served as Senior Manager, Interactive Marketing, at Brown-Forman Beverages Worldwide where he redesigned the ever popular Jack Daniels website (http://www.jackdaniels.com). Mr. Fetherling served as Director of Interactive Marketing at Columbia/HCA Healthcare Corporation, where he created the vision, strategy and implementation for www.columbia.net, one of the Internet's first major health portals. Columbia's site was profitable in 18 months and won numerous awards, including a Top Rating from Excite and recognition as a top healthcare site for Business-to-Business by AdAge. U.S. News and World Report also selected the site as one of the best eight sites in 1995. In addition to overseeing the Internet development at Columbia, Mr. Fetherling implemented an interactive kiosk network, placing kiosks offering access to www.columbia.net at hospitals and other public facilities nationwide. He also created the company's Intranet (Koala) strategy. Tod was formerly Manager of Strategic Planning at Jewish Hospital in Louisville, KY. He also served as a practice manager for two primary care offices employing 7 seven physicians. Mr. Fetherling is the author of "Surveying Your Community" and "Columbia Internet Case Study," published in the Journal of Healthcare Marketing, and contributed to 1997 Guide to Healthcare and the Internet and the book Net Income. He has been a featured speaker at Nebraska Hospital Association 2008; SHSMD 2007 in Washington DC; Push '97 in London; Wired World '98 in Gauteng, South Africa; the University of Utah's Interactive Marketing Course; Alliance for Healthcare Strategy and Marketing; NCTA Cable '98 and Knowledge Management '97. Petquarters (OTC-BB: PDEN) - a leading online and mail-order catalog company, featuring unique, user-friendly authoritative content, community and outstanding value in pet products. Codigent Solutions Group, Inc. - a leading technology company that has assembled an extensive line of products and services for healthcare facilities and regional businesses. Past President, Safe Haven Family Shelter - a local non-profit serving homeless families. A native of Nashville, he is a member of Holy Family Catholic Church along with his wife, Mary and children Emma, Laura, Chase and Carolyn. He holds a Bachelor of Science degree in Marketing from the University of Tennessee. J. Tod Fetherling presents this 90 minute white board session walking the user through every aspect of the healthcare system from wellness to death.